The summit has been delayed several times since 19 May. 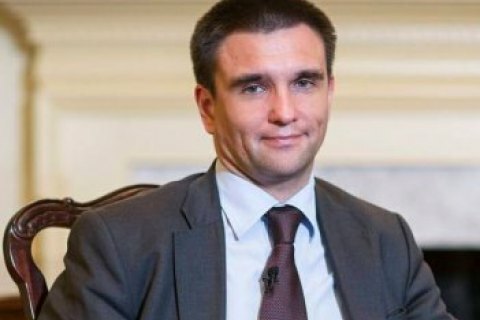 Ukraine's Foreign Minister Pavlo Klimkin expects the EU-Ukraine summit to be held in October or November. "We are now discussing whether it is going to be held in October or November. I always say and do not think it is a commonplace that any event should bring results, therefore the EU-Ukraine summit in terms of time and completeness should actually be an event," Interfax-Ukraine quoted him as telling the press in Kyiv on 17 September. According to the minister, not only a visa-free regime with the EU should be announced at the summit but also other aspects of bilateral cooperation are to be declared. The EU-Ukraine summit, initially scheduled for 19 May, has been postponed until September and now until October-November.